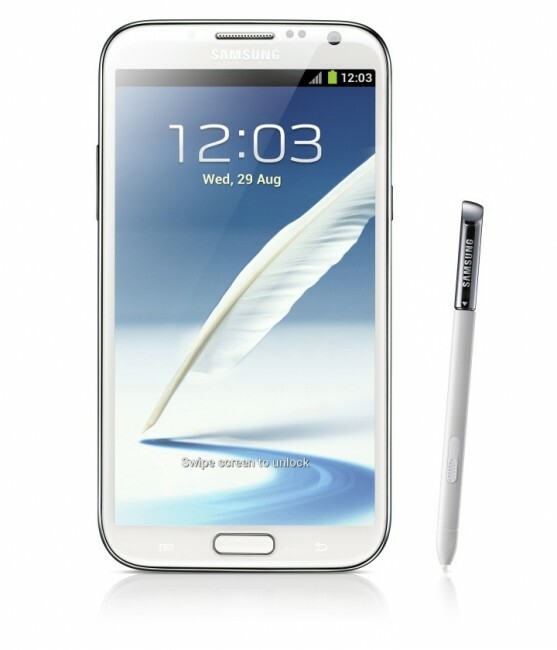 Sprint announced this morning that they will launch the Samsung Galaxy Note 2 on October 25 for $299 on 2-year contract. They are the first of the four major carriers to announce a date. Samsung told us that the device would be out on all carriers by mid-November, but we sort of suspected that there would be carriers looking to push it out before then. Next week, Samsung is throwing a big NYC bash to kick-off the launch of the Note 2, so expect there to be more availability announcements around that time. Still no word on Verizon’s version. Would anyone be surprised if it was last to the party, though? OVERLAND PARK, Kan. (BUSINESS WIRE), October 16, 2012 – Sprint (NYSE:S), the only national carrier with Truly UnlimitedSM 4G LTE data, text and calling to any mobile, today announced an availability date for Samsung Galaxy Note® II. Beginning Oct. 25, it can be purchased for $299.99 with a new line or eligible upgrade and two-year service agreement (excludes taxes and surcharges) for either color option – Marble White or Titanium Gray. With the latest HD Super AMOLED™ screen technology powering the device’s 5.5-inch 720p display, images are bigger, clearer and brighter than ever. Performance and power are built-in on Galaxy Note II with Samsung’s Exynos™ 1.6GHz quad-core processor, a long-lasting battery, blazing fast 4G /LTE network speeds, and international voice and data capable compatibility with GSM/UMTS/CDMA networks. Galaxy Note II comes with a built-in S Pen™ that is longer, thicker and ergonomically designed for the perfect grip. Its advanced features also provide enhanced capabilities to capture ideas and inspirations instantly and to combine handwriting with any digital content directly on the screen. Galaxy Note II features an 8-megapixel rear-facing camera and 1.9-megapixel front-facing camera with HD video recording. The camera’s powerful features include Buddy Photo Share, Burst Shot and Best Photo, which were introduced on Galaxy S III in June. Following the same business-friendly path, Galaxy Note II is a SAFE™ (Samsung for Enterprise) device, providing the ability to securely sync corporate email, calendars, contacts and sensitive information. SAFE provides a comprehensive approach to making Android devices more secure and manageable for business users. With a thorough quality assurance process in place to test and confirm the Note II enterprise capabilities, SAFE systematically meets the rapidly evolving needs of IT and the growing number of businesses allowing employees to “bring your own device” (BYOD) to work. Samsung Galaxy Note II customers can enjoy an unlimited data experience with Sprint Everything Data plans. Sprint’s Everything Data plan with Any Mobile, AnytimeSM includes unlimited Web, texting and calling to and from any mobile in America while on the Sprint Network, starting at just $79.99 per month for smartphones – a savings of $20 per month versus Verizon’s comparable plan with unlimited talk, text and 2GB Web (excludes taxes and surcharges). With Sprint’s Everything Data and other plans that include Truly Unlimited data, Sprint is continuing its history of data leadership by making it easy for its customers to use data in all the ways that are useful to them, such as news, email, music, TV and GPS navigation, without worrying about data overages on their monthly bill. Sprint 4G LTE is available in 24 citiesi and is expected to be in more than 100 additional cities in coming months. Sprint introduced its all-new 4G LTE network in July 2012 and expects to have largely completed the nationwide build-out by the end of 2013. For the most up-to-date details on Sprint’s 4G LTE portfolio and rollout, visit www.sprint.com/4GLTE. Sprint Nextel offers a comprehensive range of wireless and wireline communications services bringing the freedom of mobility to consumers, businesses and government users. Sprint Nextel served more than 56 million customers at the end of the second quarter of 2012 and is widely recognized for developing, engineering and deploying innovative technologies, including the first wireless 4G service from a national carrier in the United States; offering industry-leading mobile data services, leading prepaid brands including Virgin Mobile USA, Boost Mobile, and Assurance Wireless; instant national and international push-to-talk capabilities; and a global Tier 1 Internet backbone. The American Customer Satisfaction Index rated Sprint No. 1 among all national carriers in customer satisfaction and most improved, across all 47 industries, during the last four years.Newsweek ranked Sprint No. 3 in its 2011 Green Rankings, listing it as one of the nation’s greenest companies, the highest of any telecommunications company. You can learn more and visit Sprint at www.sprint.com orwww.facebook.com/sprint and www.twitter.com/sprint.